Being an avid fan that has all the issues of the original comic book series, it feels like a dream come true having bought this game as the Battle Chasers franchise has been shelved for nearly 2 decades. 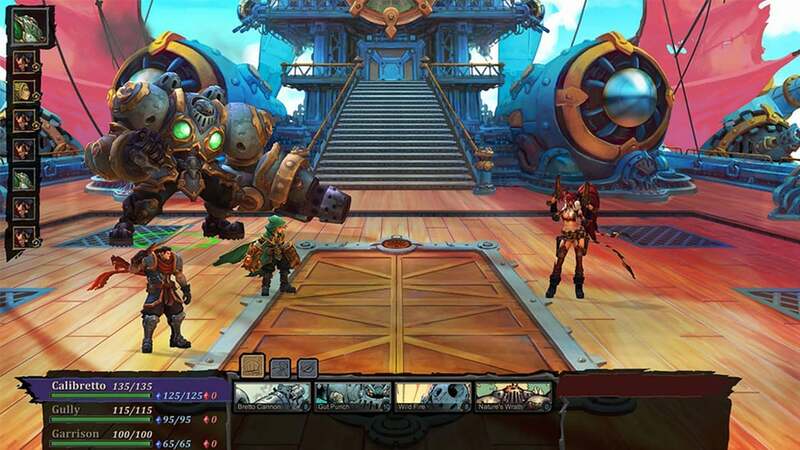 Battle Chasers: Nightwar is the inaugural game of indie game studio Airship Syndicate led by comic artist legend Joe Madureira (my favourite artist of all time might I add), whom also drew the comic series of the same name back in the late 90’s. Not familiar with the series? Fret not as the game doesn’t require you to have any prerequisite knowledge of the comic book storyline as it is a standalone tale. 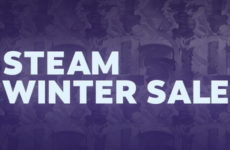 Enough about history however, because this game has promised gamers everywhere a multitude of things that most Kickstarter games prior to this have failed to achieve. So the major question for this title is… Does this franchise still have what it takes to be great after being time vaulted for so long? The opening sequence of the game stays true to its comic book roots as it features striking hand drawn cinematics that establish the art style and mood of the entire game. Joe Mad has a distinct art style and you can see that influence slither into every other design aspect. Set in a world where magic meets technology, this steampunk fantasy setting has all the necessary elements of a great RPG. While the dungeons are grim and dark, the characters of the series are bursting with colour and contrast. Calibretto, the war golem healer of the group, sports multiple shades of metallic grey to indicate his weathered armor clad body while Knolan, the wizened mage, sports bright green robes as sparks of electric blue magic surrounds him. All the characters are perfectly drawn and accurately represented as per the original series and Red Monika’s proportions have been adjusted much to the dismay of fans everywhere. What makes the overworld here so compelling is the amount of detail put into crafting everything. Barrels of explosives, piles of skulls and other minor objects have great detail that makes you want to seek out and explore every nook and cranny of the game. 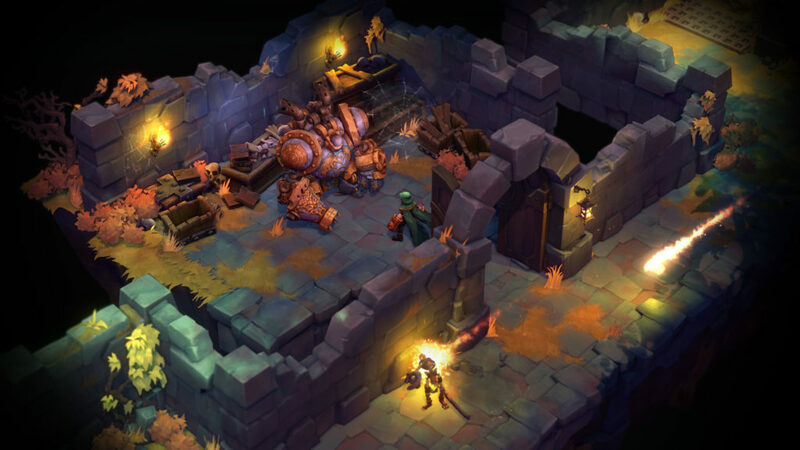 Alongside the gorgeous 3D modelled objects that is in the vibrant backgrounds, the game is filled with a rich soft focus foreground that enhance the overall dungeon trawling experience. However, not all the animations are fluid and other cinematic cut scenes don’t share the exact visual flare of the opening one. There are also choppy attack animations from time to time though this is far in between and easily dismissed. Attack animations are usually crisp as each character has their own unique animation sequence and the sprites are breathtakingly beautiful. While the voice acting here is not on par with other AAA games, it has one of the more admirable ones when compared to other Kickstarter titles. The game is voiced only during key moments and most of the other times the narrative is conveyed in a traditional JRPG style – via text. Special attacks called Burst all have their unique sounds effects and basic attacks have a clean undertone when executed. The clang of swords, the administration of poison, and other background sound effects like birds chirping and monster war cries are done to near perfection, so much so it is hard to believe that a game of this magnitude only has a fraction of the budget other AAA games have. All the above is underscored by an enchanting diverse soundtrack that features unconventional instruments such as the likes of Chinese string instruments to various woodwind sections that further augments the deep bass backbeats. The adventure-based anthems come to the forefront especially during boss battles, as it is both adrenaline-inducing and memorable. Based heavily around the plot of the original mega hit comic series of the 90’s, we find our favourite heroes stranded on a mana rich island after their airship gets shot down by bandits. 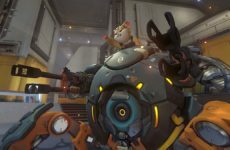 Gully, a small girl with big shoes to fill, is the upbeat brawler of the group that is searching for her lost heroic father while Garrison, a mercenary of sorts, is her sworn protector as he has once served under her father. You also have the peaceful war golem Calibretto, who is a relic of ancient violence that is often seen together with Knolan, a wise mage who has a short fuse and sharp quips. Rounding out the party is everyone’s favourite bombshell rogue Red Monika, who is both friend and foe, and the new mysterious demon hunter hero, Alumon. While featuring the traditional tropes of JRPG characters, there is enough twists on this age old formula to warrant renewed interest among gamers. Calibretto for example, is actually a war golem that is the defacto healer of the group (a giant war machine that heals, now that is something) while the seasoned veteran of the group, Knolan, behaves like he has a chip on his shoulder and barely exudes his wise persona. The weakest part of the game is the plot itself. 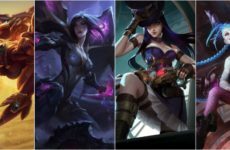 It is basically a classic story of an evil necromancer resorting to dastardly tactics that the heroes need to foil. There is nothing noteworthy or absurdly astonishing about the storyline, which in itself is a shame because the characters have been built to be extremely likeable and interesting. There is little to nothing about the backstories of the existing characters or their motivations which creates a flat storytelling pace. However, there are golden moments of character interactions when you rest at the inn which showcases the deep relationships of each character. Calibretto and Garrison bicker over the growing concern of Gully’s safety while Red Monika has a heart-to-heart talk with Gully regarding her purpose, and these moments solidify the internal chemistry between the party members. These interactions serve more than just character development arcs though, as it pulls the game from being a complex RPG to a heartfelt character level view. This is the crux of the entire game and rightfully so as Airship Syndicate has painstakingly modernized the good old-fashioned JRPG with a lot of creative additions that further cement this title. Dungeons are randomly generated each time you enter one, ala Diablo, and you have 3 difficulties to choose from which reward you with better loot the more courageous you are. This also means the puzzles, NPCs, traps and loot are randomized, granting you a fresh experience each time you revisit a dungeon. While grinding is inevitable as it is the less exciting hallmark of the JRPG genre, there are a myriad of activities for you to do, which include exploring new lands on the map, an addictive fishing mini game, battling in an arena for rankings, pursuing formidable foes in various side quests and crafting better gear. These additional activities reward you handsomely in experience as well as gear and does not make you feel like you are aimlessly battling to level up your characters. The town area consists of several vibrant vendors that specialize in their own craft such as the armorsmith, enchantress, tavern manager, alchemist and even an enigmatic Collector, who sells absurdly powerful items obtainable only via a special currency. These shops can be upgraded to offer better recipes, rare gears and a host of other support items as the dungeon difficulty gets increasingly more challenging as you progress later on in the game. Sticking to its roots, the run based combat present here is an exhilarating experience mainly because of the sheer number of possibilities strewn between actions, abilities, status effects, Burst abilities and Overcharge based attacks. Overcharge acts as an additional resource bar on top of your mana, being generated by standard attacks and can be utilized as if though it were mana with the catch that it only lasts until the end of the current battle. On the other hand, Burst acts as the ultimate finisher, akin to Final Fantasy’s Limit Break or Overdrive, and the meter is shared between the party members whom each have a unique Burst attack. Both Burst and Overcharge ensures that every battle you fight, even that against lesser enemies, is a tactical task that requires proper planning. 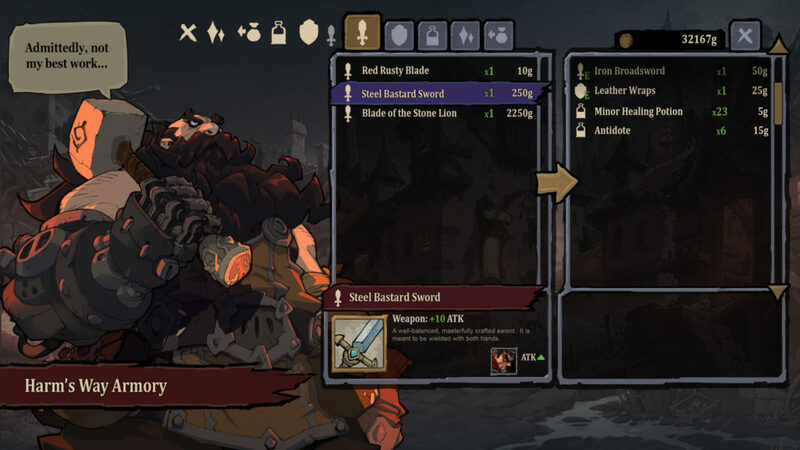 Completing the extensive combat system is the marvelous perk system where you can allocate points freely to power up your characters and switch their builds to suit the needs of a particular scenario. 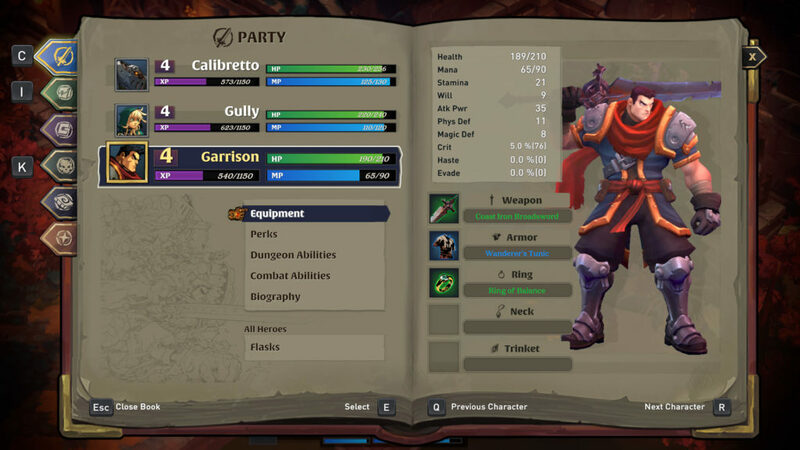 This adds a layer of depth to the game as Gully can either become an all-out attacker or a tank-like guardian to team up with Garrison that can either be a heavy critical striker that focuses on massive DPS, or a speedy damage dealer that specializes in debuffs and DOTs. With a total of six playable characters to manage and character specific perks, the array of customization can get a bit dizzying. Not all is fine and dandy though, as characters that are introduced much later in the game are usually weaker since the game only allows for 3 party members at any one time. This results in you levelling up these characters separately which in turn will rock your party balance immensely and consume precious time that could be used to explore new areas. There are also a few crash bugs that immediately reboot the game and while the auto save function prevents any progress from being lost (thank God), it is still highly annoying as the initial load time for the game is upwards of 1 minute. While this does not take away from the overall excellent experience of the combat mechanics, it does stick out like a sore thumb at times. I have been waiting for this game since the game was announced on Kickstarter and I must say that this game lives up to all of its promises despite the fact that many aspects of this ambitious game could have caused it to cave in on itself. 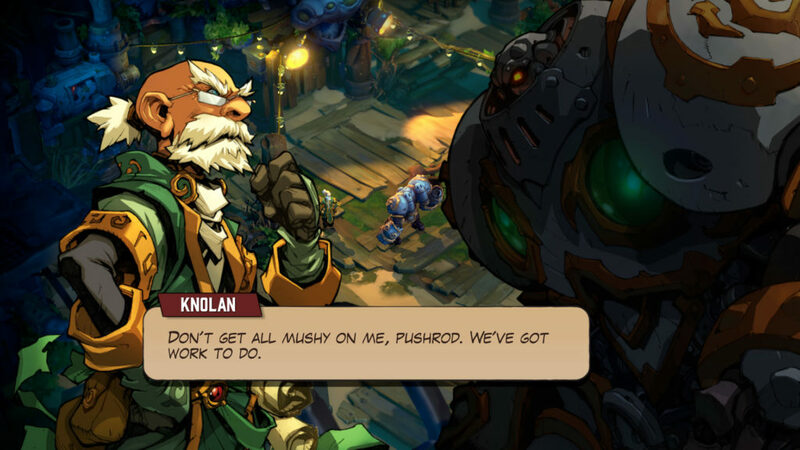 Much like what Persona 5 did for its franchise, Battle Chasers innovate the standard of classic JRPG to another level with its stylish combat mechanics, intricate character designs, dazzling visuals and stellar content depth. While a few issues bothered my otherwise magnificent experience, mainly the sudden crashes and infrequent load times, I still strongly feel that this is one of the better games to buy this year due to its affordable price tag. Joe Madureira has taken a step in the right direction with this revitalized franchise and as a long time standing fan, I hope this game will spawn various spin offs that cure the JRPG itch for avid gamers everywhere. Now, if you will excuse me, I have a couple of legendary dungeons to raid.